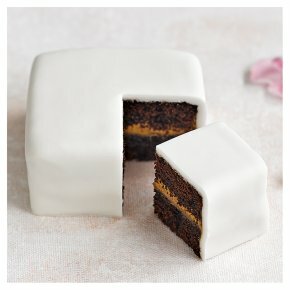 Our taster cakes can help you decide which cake to choose. The five available choices are covered in white sugar paste icing. A chocolate sponge with salted caramel buttercream and caramel sauce .